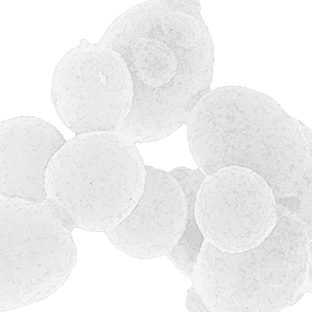 Yesto-Seal® are brewer’s yeastYeast is a unicellular fungus that can convert sug... More (Saccharomyces cerevisiaeSaccharomyces cerevisiae is the name of a strain o... More) products that are specifically designed for tableting. Brewer’s yeastYeast is a unicellular fungus that can convert sug... More is a natural ingredient which is traditionally produced by washing, recovering and drying the yeastYeast is a unicellular fungus that can convert sug... More propagated during the production of beer. The yeastYeast is a unicellular fungus that can convert sug... More is dried at a controlled temperature which stops biological activity whilst maintaining its unique nutritional properties. Brewer’s yeastYeast is a unicellular fungus that can convert sug... More contains a natural mixture of high-grade proteinNutritional yeast grown under controlled condition... More, vitaminsVitamins are a type of organic micronutrient that ... More and mineralsMinerals are elements that originate in the earth ... More and provides an excellent cost effective source of ingredients to enhance the nutritional value of foodstuffs. Some products in the Yesto-Seal® range are KosherThe Hebrew word kosher means fit or proper as it r... More and Halal certified, non-GMO, and clean label. The Yesto-Seal® range also includes a SO2 free version as well as version free from major allergens.